i. They are included in the List of Retail Imported Goods for Cross-border E-commerce, intended for personal use only, and meet the conditions set forth in the tax policy for cross-border e-commerce retail imports. ii. The transactions are conducted on e-commerce trading platforms connected to the customs, and the documents for transaction, payment and logistics can be cross examined. iii. The transactions are not conducted on e-commerce trading platforms connected to the customs, but the inbound and outbound express delivery operators and postal enterprises can be engaged by relevant e-commerce enterprises and payment enterprises to take corresponding legal responsibilities to transmit electronic information about transactions and payment to the customs. i. Cross-border e-commerce retail import operators ("cross-border e-commerce enterprises"): Overseas registered enterprises which sell cross-border e-commerce retail imports to domestic consumers from overseas, and they are the owners of the goods. ii. Cross-border e-commerce third-party platform operators ("cross-border e-commerce platforms"): operators who are registered in China, provide web space, virtual business premises, transaction rules, transaction matchup, information announcement and other services for both parties (consumers and cross-border e-commerce enterprises) to the transaction, and set up information network systems for both parties to conduct transactions independently. iii. Domestic service providers: market players which are registered in China and are engaged by cross-border e-commerce enterprises to provide declaration, payment, logistics, warehousing and other services, have corresponding business qualifications, directly provide relevant payment, logistics and warehousing information to the customs, accept the follow-up supervision by the customs and market supervision authorities, and assume corresponding responsibilities. iv. Consumers: Domestic buyers of cross-border e-commerce retail imports. III. Cross-border e-commerce retail imports are supervised as imported goods for personal use, and the requirements for first import license, registration or filing of goods do not apply. However, goods from epidemic areas that have been officially suspended from import by relevant authorities and goods with significant quality and safety risks and for which emergency risk management is initiated are exceptions. IV. The government departments, cross-border e-commerce enterprises, cross-border e-commerce platforms, domestic service providers and consumers should take their own responsibilities, which will be well defined and effectively supervised. 1. Cross-border e-commerce enterprises shall take the primary responsibility for the quality and safety of goods and perform relevant obligations according to regulations. They shall engage an enterprise registered in China to handle registration in the customs, assume the responsibility of make truthful declarations, accept the supervision by relevant authorities according to the law, and assume civil joint and several liability. 2. Cross-border e-commerce enterprises are responsible for protecting consumers' rights and interests, including but not limited to disclosing information on goods, providing return and replacement services, establishing a recall system for substandard or defective goods, and making compensation for infringement of consumers' rights and interests in relation to the quality of goods. Where the goods are found to have quality or safety risks or problems, they should immediately stop selling them, recall the sold goods and properly dispose of them to prevent them from re-entering the market, and report the recall and disposition to the customs and other regulatory authorities in a timely manner. (1) The relevant goods meet the requirements of the country of origin for quality, safety, hygiene, environmental protection, marking and other standards or technical specifications, which, however, may differ from those of China. The consumers will bear the relevant risks on their own. (2) The relevant goods are purchased directly from overseas and may not have Chinese labels. The consumers may check the Chinese electronic labels of the goods on the website. (3) The goods purchased by consumers are for personal use only and shall not be resold. 4. Cross-border e-commerce enterprises shall establish a mechanism for prevention and control or quality and safety risks of goods, including receipt and delivery quality management, in-house quality control, and supplier management. 5. Cross-border e-commerce enterprises shall establish a sound quality traceability system for online shopped and bonded imported goods. The traceability information should at least cover the complete logistics track from the overseas shipping place to the domestic consumers, and overseas shippers and goods producers should be encouraged to trace their upstream sources. 6. Cross-border e-commerce enterprises shall transmit electronic data of cross-border e-commerce retail import transactions with electronic signatures to the customs in real time. They may declare to the customs on their own or by proxy and assume corresponding responsibilities. 1. The platform operators shall be registered in China and register with the customs in accordance with relevant regulations, accept supervision by relevant authorities, and cooperate with follow-up administration and law enforcement. 2. Platform operators shall transmit electronic data of cross-border e-commerce retail import transactions with electronic signatures to the customs in real time, verify the authenticity of transactions and consumers' identities, and assume corresponding responsibilities. 3. Platform operators shall establish management systems such as rules for transactions on the platform, transaction security, protection of consumer rights and interests, and processing of malicious information. For cross-border e-commerce enterprises applying to join the platform, platform operators shall verity their identity, show their identity information and consumer evaluation and complaint on the website, and provide information about merchants on the platform to the regulatory authorities. Platform operators shall sign an agreement with the cross-border e-commerce enterprises applying to join the platform to set forth the responsibilities, rights and obligations of both parties with respect to quality and safety of goods, protection of consumer rights and interests, and other relevant requirements hereof. 4. If the enterprises on the platform include both cross-border e-commerce enterprises and domestic e-commerce enterprises, platform operators shall set up independent zones or channels to provide platform services for them, or provide clear marks to separate imported goods through cross-border e-commerce retail from non-cross-border goods to avoid confusion to consumers. 5. Platform operators shall establish a self-discipline system to address consumer disputes and consumer rights protection. Where consumers who purchase goods on the platform and their legitimate rights and interests are harmed, the platform must actively assist the consumers to safeguard their legitimate rights and interests and fulfill the responsibility of paying compensation in advance. 6. Platform operators shall establish a quality and safety risk prevention and control mechanism for goods, and announce goods risk monitoring information and early warning information issued by regulatory authorities at conspicuous locations on the website. They shall urge cross-border e-commerce enterprises to strengthen the prevention and control of quality and safety risks, and urge them to recall and dispose of goods and file reports when quality or safety problems occur. For cross-border e-commerce enterprises that fail to take the initiative to recall or dispose of such goods, they may impose penalties such as suspending their cross-border e-commerce business. 7. Platform operators shall establish a risk control system to prevent false transactions and re-sales in cross-border e-commerce retail, strengthen the monitoring of irregular transaction behaviors such as repeated, numerous purchases involving the same buyer, the same payment account, the same receiving address, and the same receiving phone number, and purchases made as an imposter, and take corresponding measures to control such behaviors. 8. As required by the regulatory authorities, platform operators shall effectively manage the goods sold on the platform, close the display and transaction pages for goods prohibited from entering the platform in the form of cross-border e-commerce retail imports in a timely manner, and submit the relevant information to the relevant authorities. 1. Domestic service providers shall be registered in China and submit their qualification certificates to the customs and register with the customs. Among the domestic service providers, the banking institutions providing payment services shall have the financial license issued by the CBIRC or the former CBRC, the non-banking payment institutions shall have the payment business license issued by the People's Bank of China, and their scope of payment business shall include "internet payment". Logistics enterprises should obtain the express business license issued by the State Post Bureau. 2. Payment and logistics enterprises should transmit true and accurate electronic payment and logistics information for cross-border e-commerce retail import with electronic signatures to the regulatory authorities in real time, and assume corresponding responsibilities for the authenticity of such information. 3. Customs declaration agencies which are engaged by cross-border e-commerce enterprises to declare to the customs are responsible for providing true and accurate information. 4. Logistics enterprises shall share an interface with the customs for real-time tracking of logistics information, and carry out domestic delivery of cross-border e-commerce retail imports in strict accordance with the logistics information provided when the transaction is made. If the actual delivery information in China is inconsistent with the logistics information (including the addressee and address) declared during customs clearance, the delivery in question shall be terminated and reported to the customs in a timely manner. 1. Consumers are the tax payer for cross-border e-commerce retail import goods. Cross-border e-commerce platforms, logistics enterprises or customs declaration agencies are responsible for withholding taxes and shall provide tax guarantee to the customs, and undertake corresponding tax compensation obligations and related legal responsibilities. 2. Before purchasing, consumers should carefully read the risk notices published on the e-commerce website, make a judgment based on their own risk-taking ability, and agree to the contents of the notices before placing an order. 3. Consumers shall not resell the goods purchased through cross-border e-commerce retail imports. 1. The customs shall carry out quality and safety risk monitoring on imported goods through cross-border e-commerce retail, carry out necessary quarantine inspections in accordance with laws and regulations before sales, and issue risk warning as appropriate. The government authorities shall establish an emergency response mechanism for major quality and safety risks of cross-border e-commerce retail imports. The market supervision authorities shall strengthen the supervision on recall of cross-border e-commerce retail imports, urge cross-border e-commerce enterprises and platforms to eliminate potential safety hazards of sold goods and implement the recall according to the law. The customs shall order relevant enterprises to take risk reduction measures for substandard or quality and safety-related goods, supervise the goods not sold yet, and investigate the responsibility of relevant operators according to the law. The government authorities shall optimize and improve regulatory measures for food-related cross-border e-commerce retail imports, and duly prevent and control quality and safety risks. 2. In principle, "online shopped and bonded + offline self pick-up" is not allowed outside the customs' special supervision areas for online shopped and bonded imports. 3. Government authorities shall incorporate cross-border e-commerce retail import enterprises into customs credit management, and implement differentiated customs clearance management measures according to different credit grades. For enterprises identified to have good integrity, the customs will provide clearance facilities according to the law. For enterprises found to be dishonest, strict supervision measures shall be implemented in accordance with the law. Government authorities shall publish information about high-level certified enterprises and dishonest enterprises on national credit information sharing platforms, make such information public through Credit China and the national enterprise credit information publicity system, and implement joint incentive and punishment in accordance with relevant regulations. 4. Cross-border e-commerce enterprises, platforms and domestic service providers suspected of smuggling or violating customs regulations shall cooperate with the customs in investigations and open up their transaction data (ERP data) or original record data. 5. The customs shall punish enterprises which violate this Circular by participating in the production or transmission of false transaction, payment or logistics information, facilitating re-sales, failing to properly examine the authenticity of the identity of buyers, which result in the theft of personal identity information or annual purchase quota, re-sales and other violations of customs regulations. Any suspected smuggling or violation of regulations shall be handled by the customs according to the law. For activities considered a crime, criminal responsibility shall be investigated according to the law. For those who illegally engage in cross-border e-commerce retail import business by using other citizenship information, the customs shall treat them as smuggling and hand them over to relevant authorities in accordance with relevant laws and regulations on grounds of illegal use of citizenship information. For those who are not suspected of smuggling and are discovered for the first time, interviews shall be conducted or their business shall be suspended for remediation. If they are caught again, they shall be prohibited from engaging in cross-border e-commerce retail import business for a certain period of time, and shall be handed over to other industry authorities for investigation according to regulations. 6. For goods sold by enterprise and privately or individually-owned businesses in the domestic market and covered by the List of Import Goods through Cross-border E-commerce, if there are no legal import evidences or other relevant evidences to show that they are purchased through cross-border e-commerce retail import channels, the market supervision authorities shall investigate them according to their duties. V. The governments of the pilot cities (Administrative Committee of Pingtan Comprehensive Experimental Zone) shall take the primary responsibility for the pilot implementation of cross-border e-commerce retail import supervision policies in the region, and is responsible for organizing, leading, implementing, promoting, coordinating, supervising and guaranteeing the pilot work in the region to its smooth progress. Major problems and situations in the pilot process are requested to be reported to the Ministry of Commerce and other relevant authorities in a timely manner. VI. 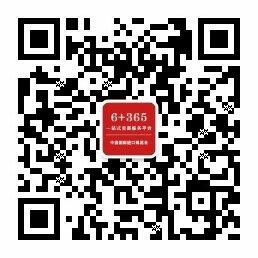 This Circular applies to cross-border e-commerce retail import business in 37 cities (regions) including Beijing, Tianjin, Shanghai, Tangshan, Hohhot, Shenyang, Dalian, Changchun, Harbin, Nanjing, Suzhou, Wuxi, Hangzhou, Ningbo, Yiwu, Hefei, Fuzhou, Xiamen, Nanchang, Qingdao, Weihai, Zhengzhou, Wuhan, Changsha, Guangzhou, Shenzhen, Zhuhai, Dongguan, Nanning, Haikou, Chongqing, Chengdu, Guiyang, Kunming, Xi'an, Lanzhou, and Pingtan, and will take effect from January 1, 2019. Reference can be made to this circular for direct purchase import business in non-pilot cities. To ensure a smooth transition process for enterprises, enterprises which do not meet the regulatory requirements as stated herein may continue to follow the regulatory arrangements for the transition period until March 31, 2019. Those who are outside the scope of application hereof and enjoy the tax policies for cross-border e-commerce retail import according to regulations shall continue to follow the regulatory requirements in the endnote of the List of Import Goods through Cross-border E-commerce (2018 Edition).